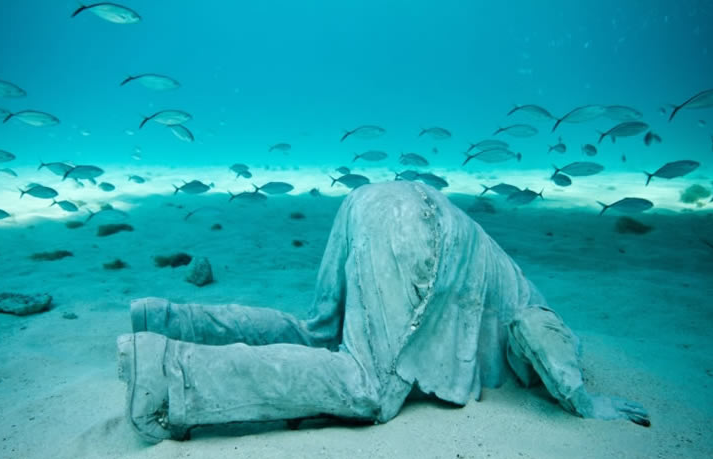 Once again, thank you Nicole for sharing these wonderful artworks! 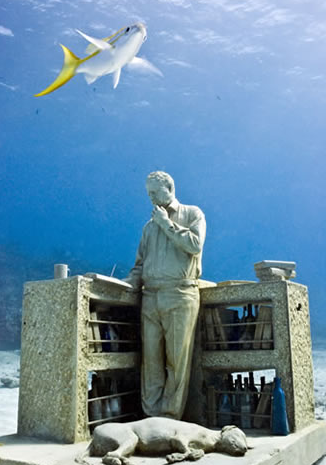 At the bottom of the sea, you will find Jason deCaires Taylor’s sculptures. 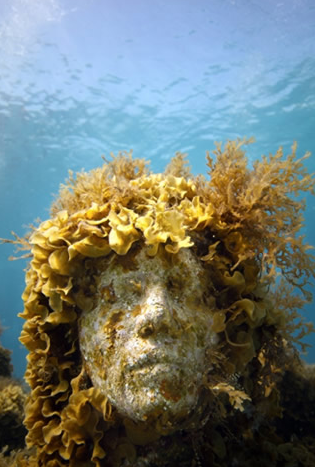 Beautiful and constantly developing as they grow artificial reefs. 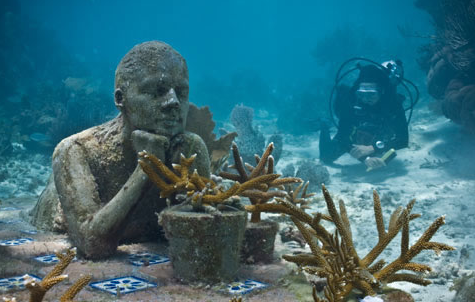 The scuba-diving British sculptor who trained at the Camberwell College of Art, created the figures out of a special cement with a neutral PH, which attracts corals to grow on them. 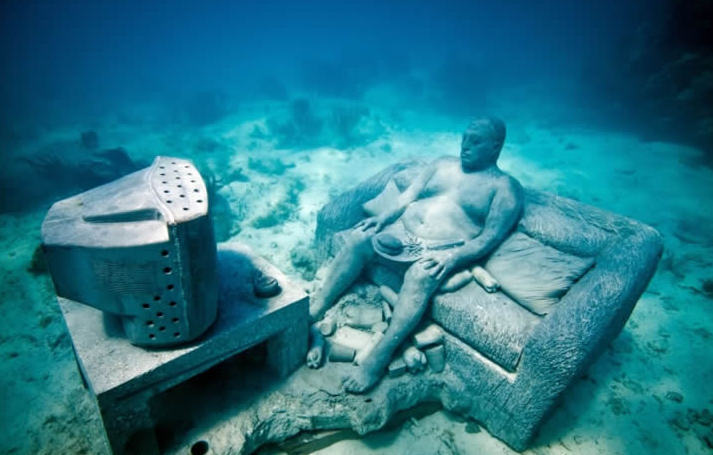 Submerging 400 life-sized sculptures of people for his piece entitled “La Evolución Silenciosa” (The Silent Evolution), a Volkswagen entitled “Anthropocene” and a man watching television with a burger and fries entitled “Inercia” (Inertia). 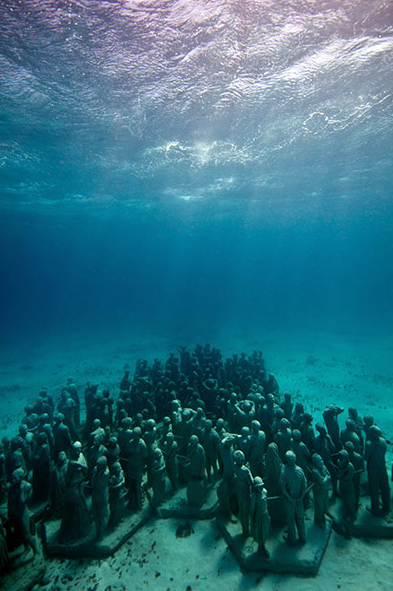 “In a gallery, you get one perspective,” says deCaires Taylor. 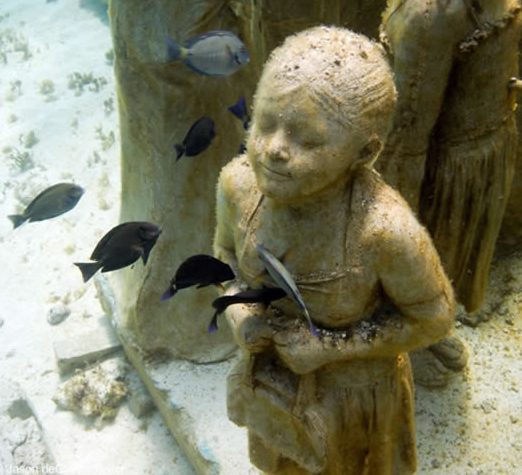 “Under water, you can fly over the sculptures, go between them.” Incredible! 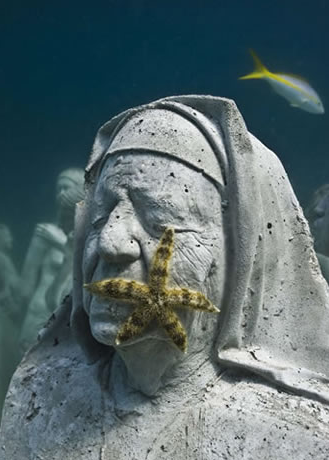 To see more of Jason’s breathtaking sculptures, visit his website here. Once upon a time, there was a small village in Italy, there lived a Panda..